Product prices and availability are accurate as of 2019-04-22 11:25:06 CDT and are subject to change. Any price and availability information displayed on http://www.amazon.com/ at the time of purchase will apply to the purchase of this product. All too often, perspiration obstructs a shooter's view. 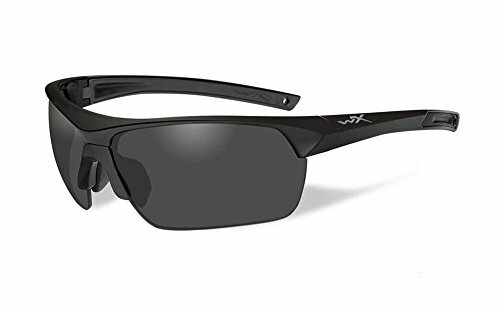 With the Wiley X Saber Advanced eyewear sweat is a thing of the past. Its brow bar keeps debris and moisture out. The patented adjustable Saber temples are easily customized for length. The 3.0mm selenite polycarbonate lenses are interchangeable. Also, they provide distortion-free clarity. The protective eyewear exceeds VO Ballistic Test MIL-PRF-31013.